One of the best parts about getting an Endy Mattress, aside from the great sleep, is the unboxing. 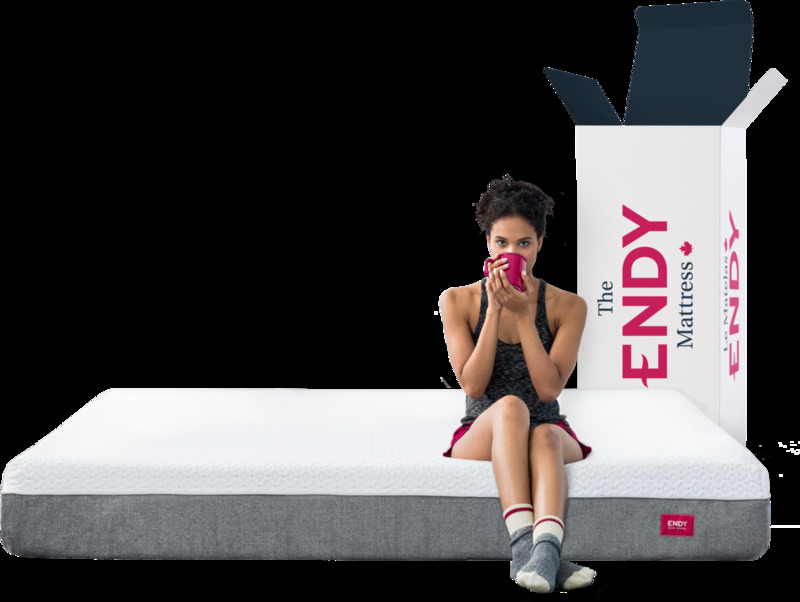 In the same vein that a new car has its own distinctive smell, the Endy Mattress releases a scent as it expands. But fear not, because it’s completely normal and safe for you and your family. We’re able to better serve our customers through our streamlined delivery process because of how we compress, roll, and package our products for shipping. Many factors can affect the way the Endy Mattress might tingle your sense of smell. Beyond the scent retention of a mattress that has been compressed, sealed within plastic, and boxed up, also consider the effects that changing environments can contribute to the mattress’s scent as it spends the majority of its time wrapped in plastic before you set it free in your home. The scent of the mattress expanding, technically known as off-gassing, can take anywhere between a few minutes to 72 hours to dissipate, and whether you notice it varies person-to-person. Some have a greater sense of smell than others so whether or not you’ll notice the smell of the mattress off-gassing is completely objective. Buying a mattress that’s CertiPUR-US certified ensures that the foam meets particular environmental and health standards. You’re in luck, because the Endy Mattress is CertiPur-US certified. All this to say, that “new” smell is a good thing, and you can rest easy that we wouldn’t put anything your home that we wouldn’t put in ours. So whether you let it air out or aren’t the slightest bit phased, when the Endy Mattress is expanding, it’s the scent of better sleep. Newer PostWhy Do We Yawn?